When I was first asked to write a piece about autumn travel destinations, I have to admit I was a bit stumped. I knew the editing desk would be flooded with submissions about road trips through Vermont, coffee shops in the PNW, and early-season skiing in the Rockies. I’ve never been one to chase the ordinary, and I knew that pushing out another paraphrased narrative about sweater weather and #vanlife would just get lost in the flurry. Autumn is a beautiful time of year full of incredible transitions as the world settles down for a long winter, and nowhere exemplifies that more than the arctic. The days rapidly dwindle to nothing, the temperature plummets and sparkling summer lakes turn to frozen glass. The ever-present daylight of the high summer is replaced by spectacular, dancing aurora against a backdrop of dazzling stars above the cleanest, most crisp air you’ll ever breathe. Many animals head south to avoid the unforgiving winter of the high arctic, but a robust few hang around to take advantage of the rare resources proffered by a frozen world. To truly experience the magic of the fall, I needed to head north. I wanted to witness one of the most incredible sights on this planet: the first few days when the oceans freeze and polar bears arrive from inland and head out to sea to begin a long winter of hunting seals from the sea-ice. The epicenter of this transition is Churchill, Manitoba. 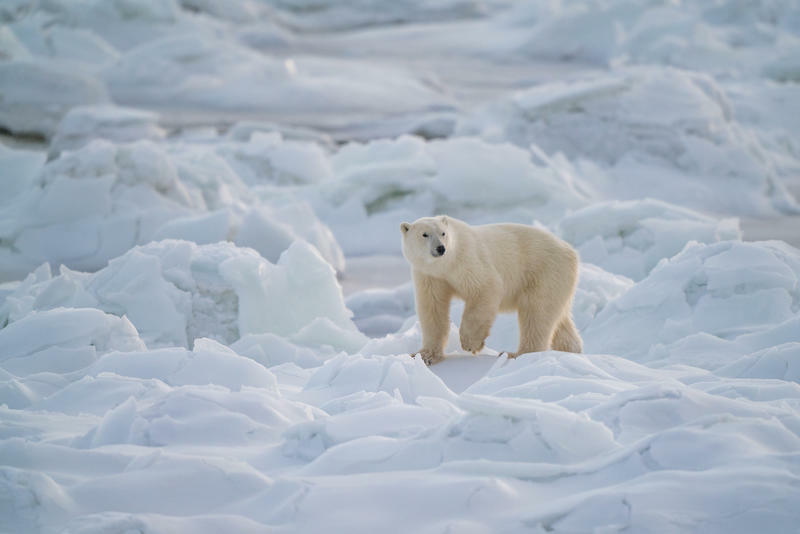 One of the first places where the ocean freezes each year, Churchill is jokingly referred to as the Polar Bear Superhighway due to the massive convergence of bears each autumn. I knew that just seeing a wild polar bear would be the experience of a lifetime, but I wanted to really be there with them. Eye-level, on the ice, to capture their personalities and experiences in a way that just can’t be done from an elevated platform or enclosure. 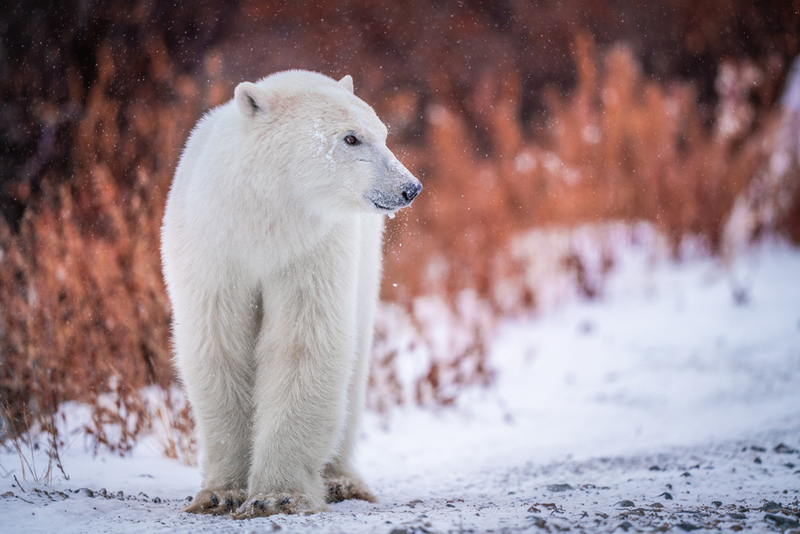 Finding people willing to go on a hike in polar bear country during peak feeding season proved to be a challenge, and only one guide company in Manitoba offers ground-level experiences. Thankfully, the experts at Churchill Wild graciously agreed to host me at the Seal River Heritage Lodge, right on the shore of the Hudson Bay. With knowledgable guides leading my excursions each day, this would make the perfect pushing off point for this expedition. Because polar bears are inherently solitary creatures, finding them in the wild means getting away from human-populated areas. A 45-minute plane flight north of the town of Churchill - itself so isolated that there are no roads in or out and fewer than 800 brave souls call it home year-round - the Seal River Lodge is by all accounts in the middle of nowhere. Upon arrival it becomes immediately clear that you’ve arrived in polar bear country - the guides greeting you are armed with several methods of bear deterrent, the lodge features an elevated tower for keeping watch, and the entire compound is surrounded by a fence that’s reminiscent of Jurassic Park. Polar bears are the largest land-based predator on planet Earth, and due to the dramatic and challenging landscape they call home, they’re extremely “food motivated.” Although fatal interactions with polar bears are generally few and far between (because polar bears themselves are few and far between), the risk is ever-present. Thankfully the guides at Churchill Wild are spectacularly prepared and educated and I never once felt uneasy. I’ve always considered autumn to be my favorite season for backcountry hikes, and while trekking across the frozen ocean in -30ºF weather isn’t what I generally had in mind, I have to admit I found it immediately appealing. Very few living beings dare to brave the elements of polar autumn, and exploring such a stark and gorgeous landscape by foot causes feelings of extreme badassery and hardcoreness. The landscape in Churchill is admittedly flat, perhaps the flattest place I’ve ever seen (and half my family is in Nebraska), but the arctic-coastal scenery is gorgeous in a way I never imagined. Brilliant orange willow leaves and crimson berries contrast against virgin snow and ocean waves flash-freeze over the rocks, forming crystalline sculptures glowing deep blue. As if that wasn’t enough to cement the Seal River Lodge as a true photographer’s dream, the extreme latitude causes the sun to stay low in the sky for the entirety of the day, creating a permanent golden-hour. There are no towering peaks or vertigo-inducing canyons, but I enjoyed my hikes on the arctic tundra as much as literally anywhere I’ve ever been. And of course, there was wildlife. Arctic hares, ptarmigans, and arctic foxes scurried through the bushes and across the frozen sea, keeping us entertained between the excitement of commuting polar bears. It’s an indescribable feeling to be face-to-face with the largest carnivore in the world, on their turf. To stand there, in a landscape genuinely not meant for humans, to watch these beautiful animals in the wild is an experience that should be on everyone’s bucket-list. It’s every bit as impactful and humbling as standing atop Machu Picchu, seeing the great pyramids or watching sunrise in Yosemite, with the added imperative of a ticking clock. Current analysis claims that we may be sharing the last few decades with polar bears on this planet, and there’s nothing I’ve ever experienced that was as important to me as my time spent among these beautiful giants. Pumpkin Spice Lattes and New England road trips can wait - true autumn magic is found up north, where the wild things are. Nate Luebbe is a professional travel/adventure photographer from Seattle, Washington. He is a member of the Sony Alpha Collective and has a weird obsession with bears. For more, check out his website or Instagram. 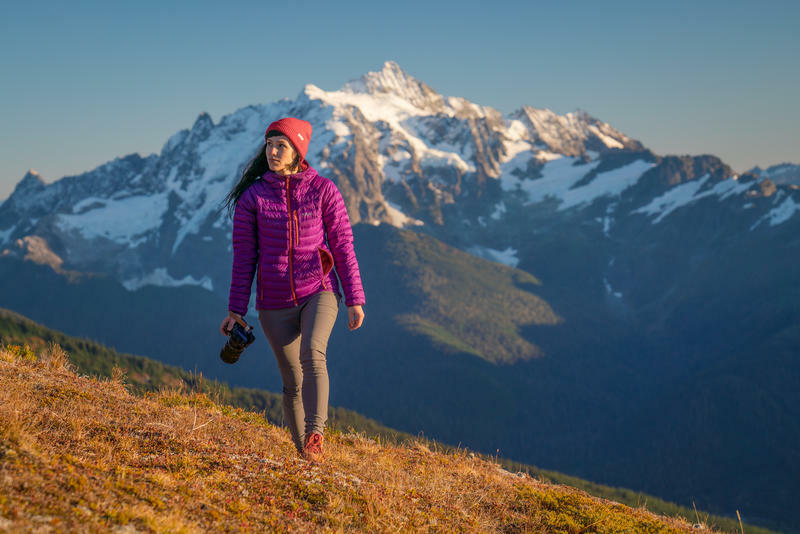 5 Things I Learned From Losing A Friend In The Backcountry.